EA Sports and FIFA 19 have dropped the world's best player from the latter's cover and replaced the Juventus star with the always injured Neymar and Kevin De Bruyne. Oh, and they stuck Ronaldo's teammate Paulo Dybala on there to rub more salt into the wound. As for why Charlie Adam wasn't chosen as one of three cover replacements, is currently unclear. EA didn't disclose why it decided to kick Ronaldo from the cover after the game launched with him on it, but it's presumably because the company wants to separate themselves from Ronaldo and the sexual assault allegations that were lodged against him back in October. That said, a couple weeks passed and Ronaldo remained on the cover. Then a couple months passed, and the star continued to remain on the cover. But now, finally, he's gone, and it seems the aforementioned allegations have something to do with it. 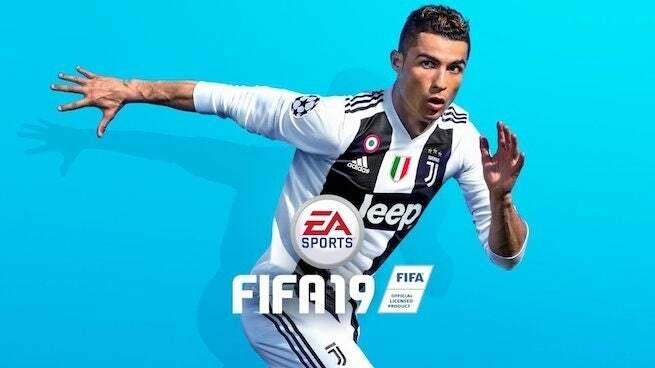 It's also possible EA simply wanted to switch things up with the cover, but given that Ronaldo is a much greater marketing tool than all three of De Bruyne, Neymar, and Dybala combined -- it's an odd decision if that's indeed the motivating factor. But hey, the trio of players are happy they were born just late enough in the Messi and Ronaldo era to get themselves a cover. Neymar was probably starting to think it was never going to happen. FIFA 19 is available for PS4, Nintendo Switch, Xbox One, and PC. For more on the game, be sure to check out our official review and read about why we think FIFA 19 is one of the better entries in the series in a few years.